On 16 December 1914 German battlecruisers raided Scarborough and Hartlepool; they were commanded by Rear Admiral Franz Hipper ( he did not become von Hipper until after the Battle of Jutland in 1916). This was the second raid by the German battlecruisers on the east coast of Britain. On 3 November a German force under Hipper had bombarded Yarmouth. The odds then were in fact the best that they were going to be the Germans to have challenged the British Grand Fleet. The loss of the King George V class dreadnought HMS Audacious to a mine on 27 October and refits and technical problems briefly reduced British advantage in dreadnoughts to 17 to 15 German. In battlecruisers both sides for a period had four in the North Sea, excluding SMS Blücher, which was deployed as a battlecruiser but was really the ultimate armoured cruiser. The British had two in the Mediterranean, watching SMS Goeben, which the Germans had transferred to the Ottomans. HMAS Australia was still in the Pacific and after the German victory at Coronel on 1 November two British battlecruisers had been sent to the south Atlantic and one to the Caribbean . They did not return until after the British victory at the Falklands on 8 December. The British had more ships under construction, meaning that the odds later moved heavily against the Germans. The attack on Lowestoft was to be carried out by Hipper’s three battlecruisers, Seydlitz (flag), Moltke and Von der Tann, plus SMS Blücher, , and four light cruisers. Hipper’s squadron sailed at 4:30 pm on 2 November, followed 90 minutes later by two battle squadrons, which were to operate in support. The plan was, according to the post war British Naval Staff Monograph, to lay mines and bombard certain coast works which the imaginative German spies had reported as in place at Great Yarmouth.’ Hipper’s squadron narrowly missed a force of British light cruisers and destroyers that had been sent out to look for submarines and mines. Just after 7:00 am HMS Halcyon, an elderly gunboat converted into a minesweeper, encountered the Germans. She escaped serious damage thanks to the destroyer HMS Lively, which laid a smoke screen, the first to be used in the war. The destroyer HMS Leopard also came under fire, but the only Halcyon suffered casualties: the Naval Staff Monograph says one man was ‘severely wounded’ and Naval Operations ‘three men wounded’, but naval-history.net names one man as dying of wounds. There were three British submarines at Yarmouth, D3, D5 and E10. They left port when firing was heard, but D5 struck a mine, probably a British one that was adrift as it was a long way from the course that the Germans had been taking. Only five men survived, with 21 dying. The British were unable to intercept the retreating German force, but the armoured cruiser SMS Yorck, which had been part of the covering force, struck two German mines on her way back into port. The other German ships had anchored outside Wilhelmshaven because of thick fog, but Yorck, needing urgent dockyard repairs, was given permission to go into port. Hipper suggested that breaking out into the Caribbean or South Atlantic to conduct commerce raiding would be a better use of his battlecruisers than coastal raiding or trying to lure the British into a trap. However, his plan, which ‘was vague on the inevitable question of coaling’, was rejected. Ingenohl preferred to launch another raid on the east coast of England. As a result of this raid, the Admiralty moved the Grand Fleet back to Scapa Flow from Lough Swilly. The 3rd Battle Squadron, consisting of the eight King Edward VII class battleships, the penultimate British pre-dreadnought class, was moved from Portland to Rosyth, arriving on 20 November. They were joined there by the four Devonshire class armoured cruisers of the 3rd Cruiser Squadron. The battlecruisers remained at Cromarty. The German plan was to bombard Scarborough, Whitby and Hartlepool on 16 December. The British discovered this by intercepting German signals that were decoded by Room 40, the Admiralty’s code-breaking centre. This was so secret that it was not mentioned in the post war Naval Staff Monograph, a Confidential document intended for Royal Navy officers only. Hipper’s force, augmented by the recently completed battlecruiser SMS Derfflinger, sailed on 15 December. It was to be intercepted at Dogger Bank on its return home by a British force consisting of Vice Admiral Sir David Beatty’s four battlecruisers, HMS Lion (flag), Tiger, Queen Mary and New Zealand, Vice Admiral Sir George Warrender’s 2nd Battle Squadron, the 3rd Cruiser Squadron, the five ships of the 1st Light Cruiser Squadron and seven ships from the 4th Destroyer Squadron. The 2nd Battle Squadron consisted of the three surviving dreadnoughts of the King George V class and three dreadnought of the Orion class: HMS Thunderer was unavailable because of a refit. A line of eight submarines was placed along the German route. As the Germans were expected to have more destroyers, Admiral Sir John Jellicoe, the Commander-in-Chief of the Grand Fleet, requested the support of the Harwich force of light cruisers and destroyers. However, its four light cruisers and 23 destroyers was ordered only to be off Yarmouth at daylight, leaving it 100 miles in a straight line and 115 by swept channels from the rendezvous point. Two more destroyers were detached on a scouting mission. At 5:15 am the destroyers HMS Lynx and SMS V155 encountered each other. A confused action followed in which Lynx and HMS Hardy were damaged. Two of Hardy’s crew were killed and 15 wounded. The British sighted a light cruiser at 7:10 and then three light cruisers when the visibility improved 40 minutes later. They then retired at full speed, losing sight of the enemy at 8:35 am. If Ingenohl had continued on his planned course, he would have been 30-40 miles north west of Warrender’s squadron by 7:30 am. However, he changed course to south east at 5:30 am and headed home, wanting to avoid an attack by torpedo craft in the dark. He also feared that the destroyers might be the screen of the full Grand Fleet. His orders from the Kaiser were to not risk major losses and to avoid action outside the German Bight. Hipper had divided his force into two. SMS Derfflinger and Von der Tann bombarded Scarborough for half an hour, starting from 8 am, whilst the light cruiser Kolberg laid mines. The battlecruisers then moved to Whitby, firing about 50 rounds from 9 am. Admiral Reinhard Scheer claimed that the Germans believed that there was a gun battery at Scarborough. However, both were undefended ports and thus not legitimate targets. This website lists the 18 people in Scarborough and three in Whitby who were killed. All were civilians except one coastguard. The Germans were on stronger legal ground in their attack on Hartlepool, which was defended by three 6 inch guns and a flotilla of the scout cruiser HMS Patrol, four destroyers and a submarine. Patrol and the destroyer HMS Doon were damaged, with casualties were four dead and four wounded and two dead and 10 wounded respectively: see naval-history.net. Naval Operations gives casualties on land as being 86 civilians and nine soldiers killed and 424 civilians and 12 soldiers wounded. However, the Germans had to face return fire at Hartlepool. Moltke and Blücher were both damaged by the shore battery, with one hit on Blücher killing nine men and wounding three. The German battlecruisers were now 150 miles from the British, who ought to have been able to intercept them. However, a combination of luck, weather, poor signalling and other mistakes mean that the Germans escaped. The fact that the Germans had attacked Britain and escaped caused great anger in Britain. However, the civilian casualties gave the British a propaganda victory, which was used in Army recruitment posters, some of which are reproduced on the BBC website, along with some then and now pictures and quotes from survivors. Another BBC page describes the 100th anniversary commemoration of the Hartlepool raid. In naval terms, both sides missed an opportunity to inflict significant losses on the enemy. For the Germans, this was their best such chance of the war. The east coast raids inflicted little military damage on Britain, apart from the loss of D5 to a friendly mine, which was more than cancelled out by the loss of Yorck to the same cause. 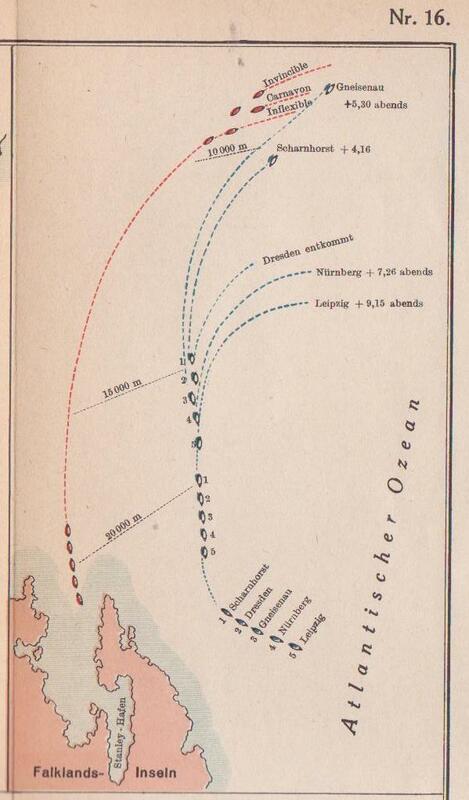 R. Scheer, Germany’s High Sea Fleet in the World War (London: Cassell and Company, 1920), p. 68. Scheer says on p. 67 that the orders ran ‘somewhat as follows’ so this is his summary of them rather than a direct quote from them. P. G. Halpern, A Naval History of World War I (London: UCL Press, 1994), p. 38. Naval Staff Monograph (Historical) vol. xii, Home Waters part iii, November 1914 to the end of January 1915. p. 6. Naval Staff vol. Xii. p. 10. Naval Staff Monograph (Historical) vol. iii. Monograph 8 – Naval Operations connected with the Raid on the North-East Coast, December16th, 1914, pp. 167-208. Naval Staff vol. iii. pp. 179-81. Corbett, Newbolt, Naval. vol. ii, pp. 31-32. The first submariner to be awarded the Victoria Cross was Lieutenant Norman Holbrook, captain of HMS B11. He received Britain’s highest award for gallantry after his boat sank the elderly Ottoman pre-dreadnought battleship Messudieh (alternatively Mesudiye) on 13 December 1914. The British Admiralty, keen to move as many ships as possible to the Grand Fleet, had proposed that the blockade of the Dardanelles be left to the French. However, the threat from the German battlecruiser Goeben, now flying the Ottoman flag, meant that the French insisted that the British battlecruiser HMS Indefatigable should remain. Consequently, the blockading force consisted of Indefatigable, the light cruiser HMS Dublin and the French pre-dreadnought battleships Gaulois, Vérité, St Louis and Charlemagne, the armoured cruiser Amiral Charner and seaplane carrier Foudre. Each navy also contributed six destroyers and three submarines. The British submarines were B9, B10 and B11 of the B class. Although only eight years old, the rapid pace of development of submarines meant that they were obsolescent by 1914. They were designed for coastal patrol work with a range of 1000 nautical miles at 8.75 knots surfaced, a maximum speed of 12 knots surfaced and 6 knots submerged, an armament of two 18 inch torpedo tubes and a crew of 15. The petrol engine used on the surface made conditions for the crew even worse than in later diesel powered boats. They had hydroplanes on each side of their conning towers to improve underwater handling, an innovation that was not repeated until US nuclear submarines were similarly fitted for the same reason 50 years later. The Ottoman navy was active against the Russian one in the Black Sea, but sat on the defensive at the Dardanelles. The Messudieh was positioned as a stationary guard ship. The Allies conducted an active submarine campaign in the Dardanelles from December 1914, two months before the Gallipoli campaign began with a naval attack and four months before the first troops were landed. There was, however, a bombardment of the forts at the mouth of the Dardanelles by British and French warships on 3 November 1914, five days after the Ottoman fleet attacked Russian bases in the Black Sea, but two days before Britain declared war on the Ottoman Empire. Entering the Dardanelles was difficult for submarines even without the Ottoman minefields because of the current and differences in the layers of the water that made it hard to manoeuvre underwater. The British submarines were more manoeuvrable, and thus more successful, than the French ones. On 13 December 1914 B11 was chosen to be first Allied submarine to enter the Straits. They were protected by five lines of mines, but her diving planes were fitted with special guards to prevent her becoming tangled up in the mines’ wires. Holbrook dived his boat underneath the mines, succeeding in passing them despite the strong current. He then came up to periscope depth, spotted a large enemy warship, closed to 800 yards range, fired a torpedo and dived. After hearing an explosion, he brought his boat back to periscope depth and saw that the enemy ship was settling by the stern. The return journey was made more difficult by the fact that the lenses of B11’s compass had steamed up, making it unusable. Holbrook was not even certain where he was and had to estimate the time that it would take to clear the minefields on the way home. B11 bumped along the bottom several times. Eventually, he felt it safe to return to periscope depth. He could then see the horizon and steer for it. However, the compass was still unusable. B11 returned to base after being submerged for 9 hours to learn that she had sunk the Messudieh. Holbrook’s VC was gazetted on 22 December, making it the first ever awarded to a submariner and the first of the war to a sailor to be announced. Commander Henry Ritchie’s VC was given for an act of gallantry on 28 November, but gazetted later than Holbrook’s. Every member of B11’s crew was decorated: Lieutenant Sydney Winn, the second on command, received the Distinguished Service Order and the other members of the crew either the Distinguished Service Cross or the Distinguished Service Medal. The DSC was awarded to officers and warrant officers, the DSM to petty officers and ratings. For most conspicuous bravery on the 13th December 1914, when in command of the Submarine B-11, he entered the Dardanelles, and, notwithstanding the very difficult current, dived his vessel under five rows of mines and torpedoed the Turkish battleship “Messudiyeh” which was guarding the minefield. Lieutenant Holbrook succeeded in bringing the B-11 safely back, although assailed by gun-fire and torpedo boats, having been submerged on one occasion for nine hours. Note that English spelling of Turkish names differ. The Ottomans blamed the loss of the Mesudiye on the Germans, who they said had insisted on putting her in an exposed position despite their opinions. She sank in shallow waters, making it possible to cut holes in her in order to extract trapped men. 37 men were killed out of a crew of 673. Many of her guns were salvaged and used in shore defences of the Dardanelles. In August 1915 the town of Germanton changed its name to Holbrook. Norman Holbrook visited Holbrook several times and his widow donated his medals to it a few years after his death. His VC is now on display at the Australian War Memorial, with a replica on show in Holbrook near a model of B11. Model of B11 in Holbrook, NSW. J. S. Corbett, H. Newbolt, Naval Operations, 5 vols. (London: HMSO, 1938). vol. ii, pp. 70-72. R. Gray, Conway’s All the World’s Fighting Ships, 1906-1921 (London: Conway Maritime Press, 1985), p. 87. This source has been favoured where its information differs from the Wikipedia entry linked in the text. Corbett, Newbolt, Naval. vol. ii, p. 72-73. Ibid. vol. ii, p. 73, note 1.